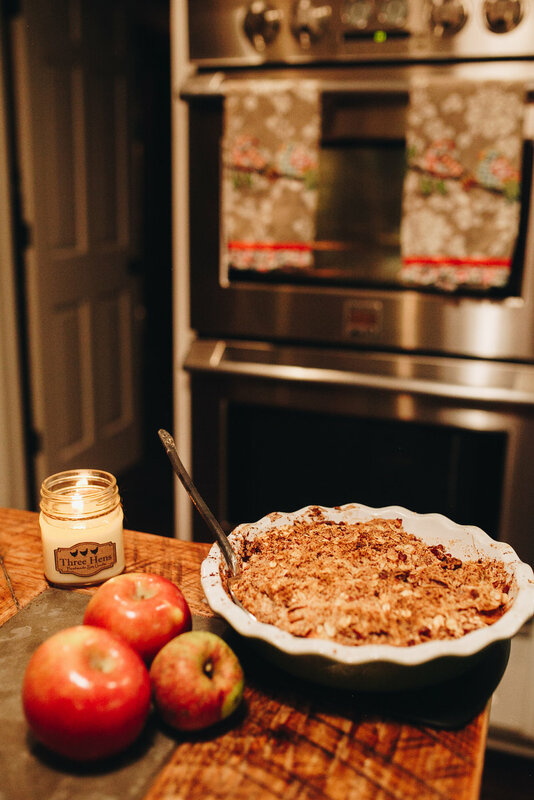 Fall is in full swing and that means I have been doing some more baking! Fresh, in season apples are so delicious and I love to use them any way I can this time of year. Crisps traditionally have a lot of added sugar and can be a very decadent dessert. Large quantities of sugar really does not appeal to my body so I always cut back on it when baking. This recipe has only 1/3 cup of coconut sugar in the whole dish as the sweetener. All the rest comes from the apples. 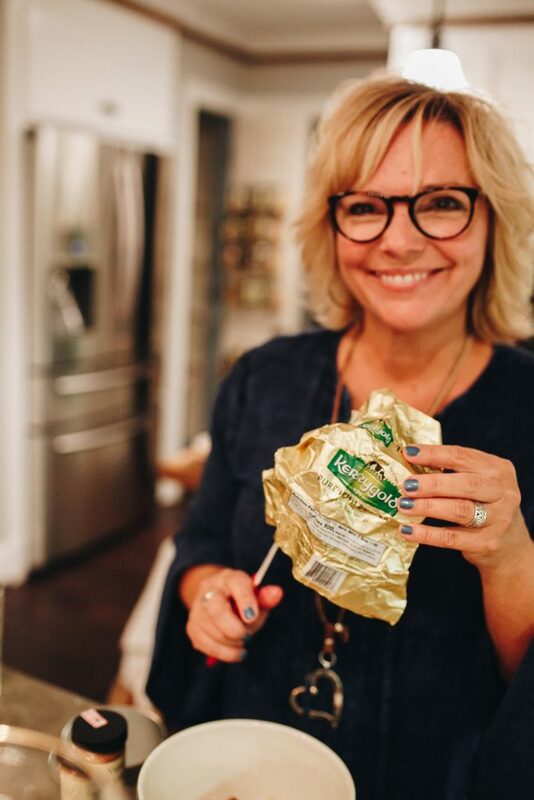 I am not stingy with the butter as I believe that high-quality grass fed butter is so good for you. Plus the saltiness mixes beautifully with the sweet apples. Embracing life’s moments and the changing seasons is important! It helps us to stick to a healthy, balanced and nourishing lifestyle! 2. 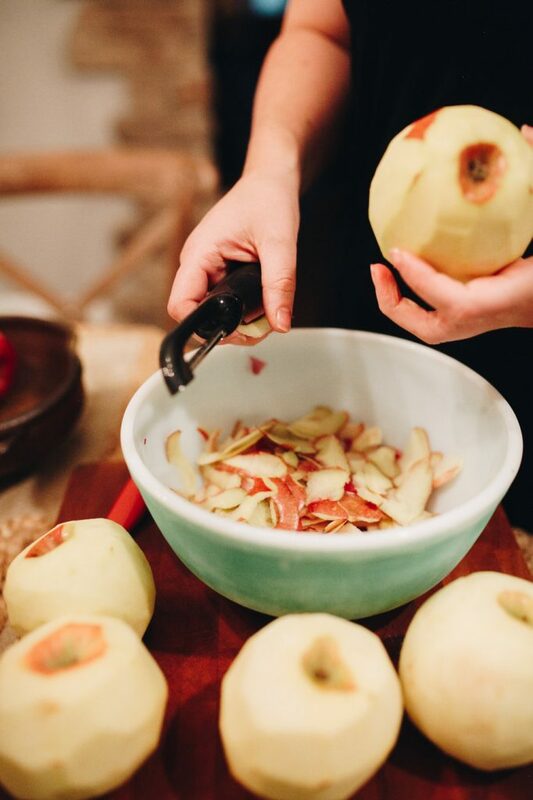 To make the filling: Peel, core and slice your apples. 3. In a medium bowl, combine apples, cinnamon and lemon juice. Stir together until apples are coated evenly. 4. 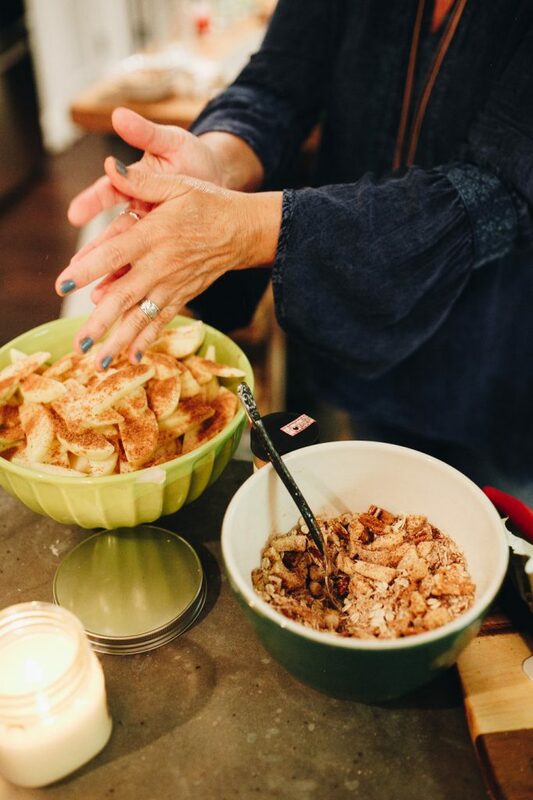 To make topping: in a separate bowl, whisk together almond flour, oats, salt, cinnamon, chopped pecans and coconut sugar. 5. Use a fork or fingers to mix butter until topping has a crumbly consistency. 6. 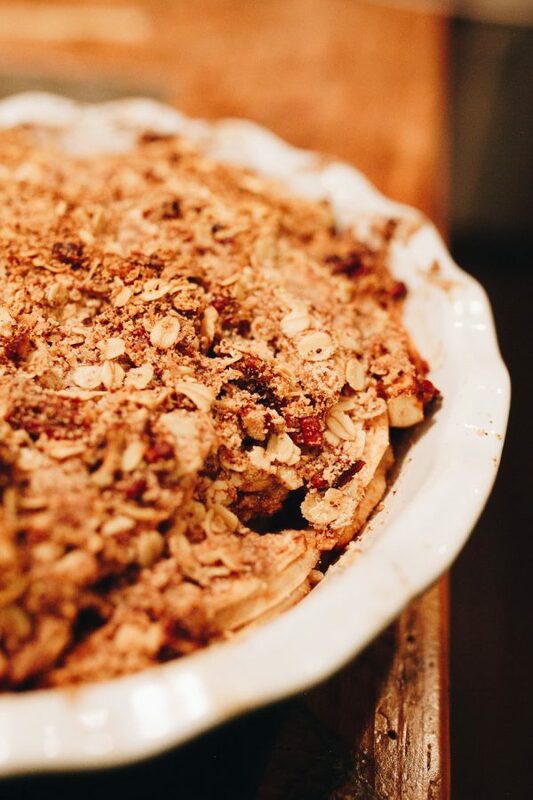 Arrange apples into a 9-inch pie dish or baking dish. Cover with crumble topping. 7. Bake for 30 to 35 minutes, or until top is golden brown. Remove from oven and cool for 5 to 10 minutes. 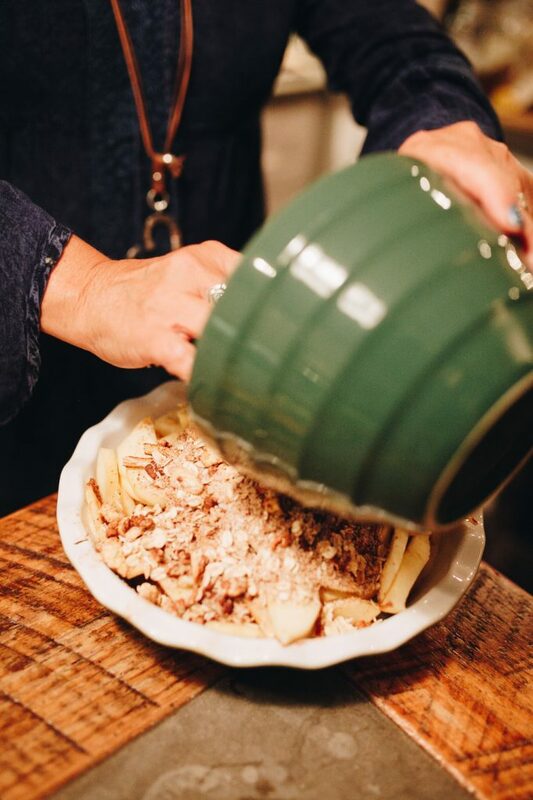 Apple crisp is best served immediately. Store leftovers covered in refrigerator up to 4 days. To make the filling: Peel, core and slice your apples. 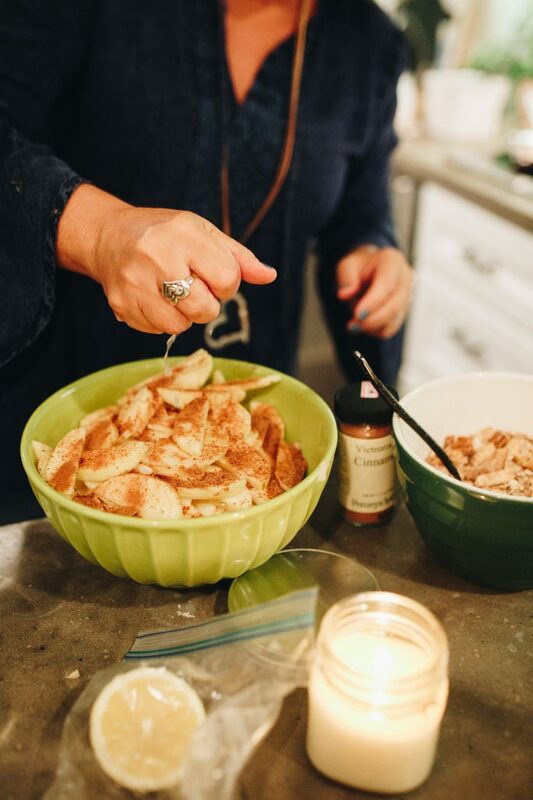 In a medium bowl, combine apples, cinnamon and lemon juice. Stir together until apples are coated evenly. 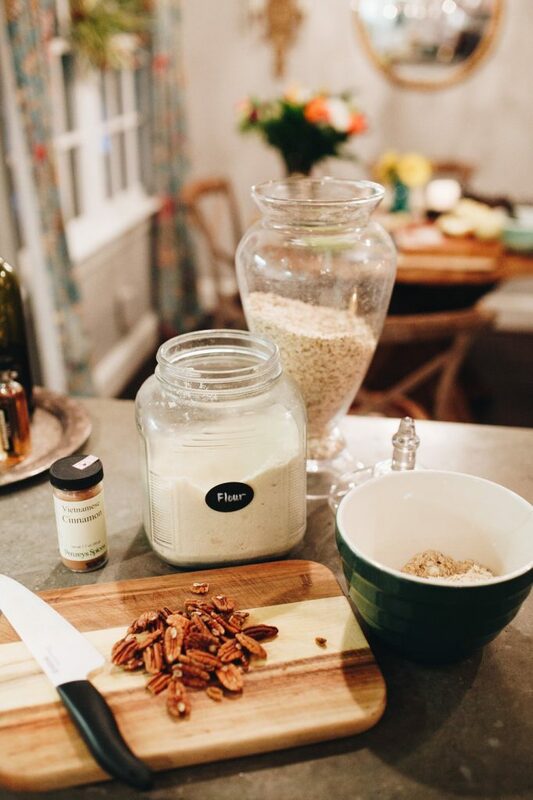 To make topping: in a separate bowl, whisk together almond flour, oats, salt, cinnamon, chopped pecans and coconut sugar. 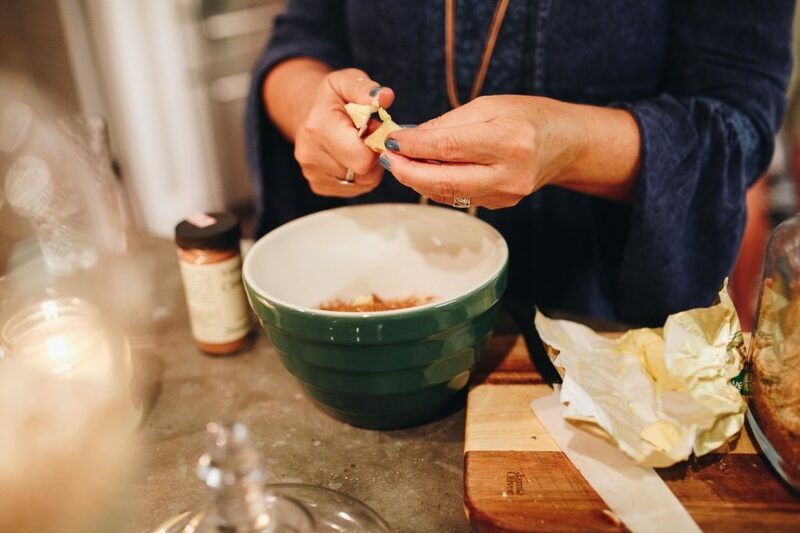 Use a fork or fingers to mix butter until topping has a crumbly consistency. 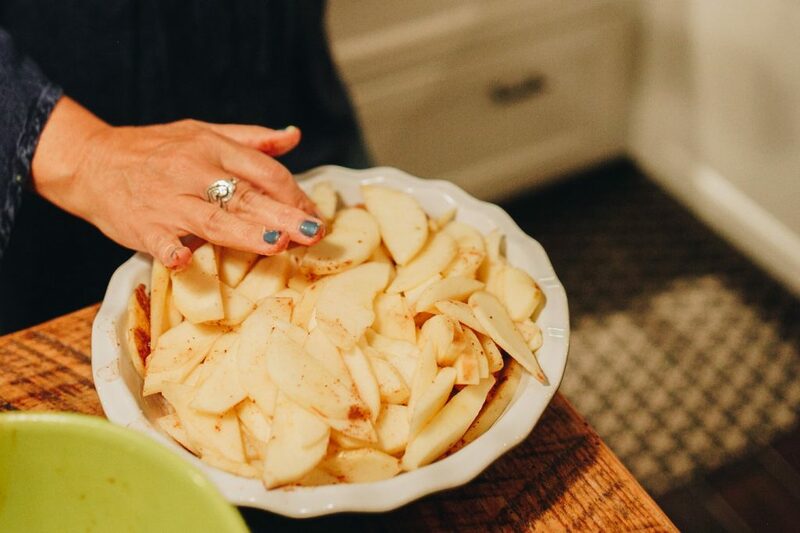 Arrange apples into a 9-inch pie dish or baking dish. Cover with crumble topping. Bake for 30 to 35 minutes, or until top is golden brown. Remove from oven and cool for 5 to 10 minutes. 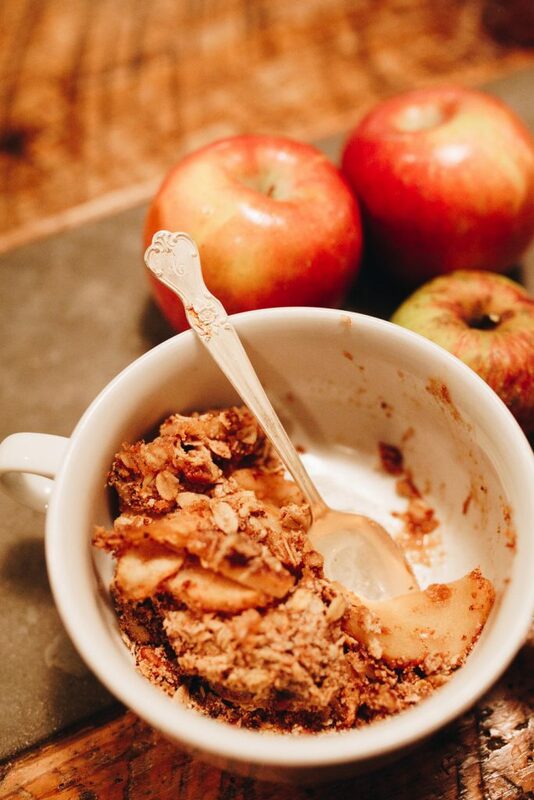 Apple crisp is best served immediately. Store leftovers covered in refrigerator up to 4 days.